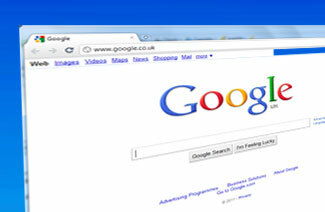 Here are a few hints and tips to speed up your Google searches. With Google Instant already spitting out results pretty fast (now faster than the speed of type! ), chances are you’ll just use these for fun, to try them out..they can also help by narrowing down your search more quickly, rather than scrolling through page after page of results. Whilst Googles' mission may be to "make organize the world‘s information and make it universally accessible and useful", a little bit of extra help can't hurt! [online marketing] A completely regular Google search for a keyphrase - in this case, online marketing.. Searches for pages with the words online and/or marketing on them, in the title, or used in the anchor text to link the page. ["online marketing"] Searches for pages with the words online and marketing on them - either in the title or used in the anchor text to link the page. The words must be next to each other and in the exact same order (known as an exact phrase match). [online or marketing] Finds pages with the words online or marketing on them, in the title, or used in the anchor text to link the page. [define: online marketing] This will give you definitions for the phrase [online marketing] and links to pages with definitions. This allows you to limit the scope of the sites/ information you’re searching for. [web development:artdivision.co.uk] Searches on the site “artdivision.co.uk” for pages containing the phrase “web development”. [intitle:web development site:artdivision.co.uk] Searches on the site “artdivision.co.uk” for pages with the phrase “web development” in the title. Looking for a specific file? Use [marketing filetype:pdf intitle:social media 2005..2010] It will search for PDF files with the word “marketing” on the document/ in the title/ in the anchor text to the document. The title will include the phrase social media and the document will include numbers from 2005 to 2010. [link:artdivision.co.uk] Searches for all the websites that link to artdivision.co.uk. Did you know, Google can answer your specific questions! It’s not always 100% correct, but almost…Here are a few examples. [300+600-(8*9)] Google also works as a calculator! Do you know any other cool Google search tips? Share them with us in the comments !